If you like music, and you like disc golf, then Disc Jam Music and Arts Festival is the place for you. Disc Jam will be kicking off June 7-10 in Stephentown, NY. This unique festival is located on a Disc Golf Course,sponsored by Innova, and to make it even better, the location is nested in the heart of a magnificent and breath taking forest! Every year the festival has disc golf tournaments on sight, adding a fun element to the already beautiful festival. Not to mention the incredibly stacked weekend of music that attendees are in store for. 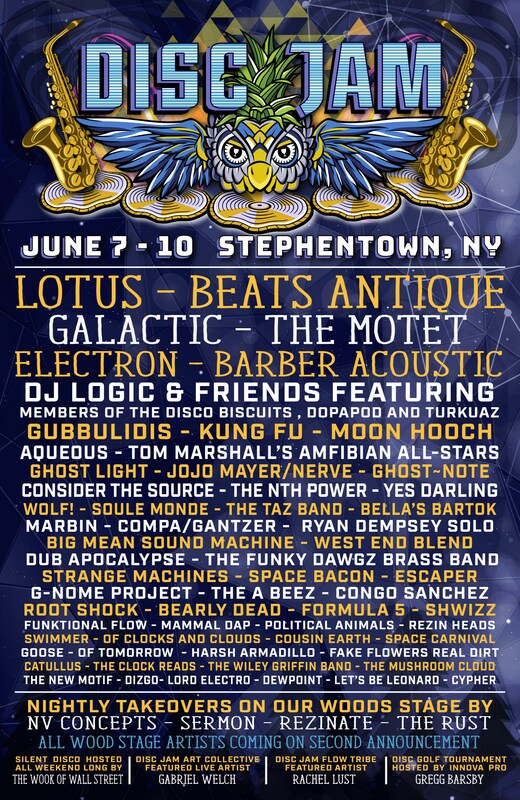 The lineup boasts acts such as Lotus, Beats Antique, Galactic, The Motet, Electron (ft. members of Lotus, Joe Russo’s Almost Dead and the Disco Biscuits), DJ Logic & Friends (ft. members of the Disco Biscuits, Dopapod and Turkuaz), Kung Fu and many more! 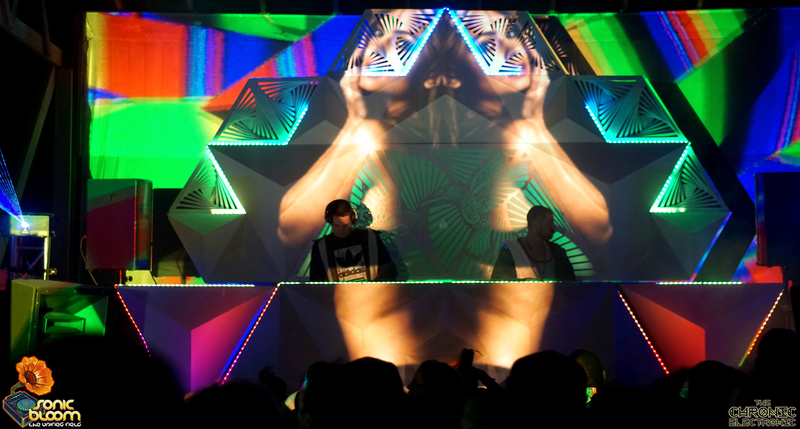 While the lineup already comes in hot with some of the most innovative bands around, Disc Jam keeps the talent coming with the Nightly Takeovers powered by Hennessy Sound Design. For their first time, they are adding a takeover from one of the most poppin’ record labels in the states right now. The Dirtybird‘s will be taking over the late night hours stage on Friday of the festival, in the woods with names that such as, Golf Clap, Dateless, and Christian Martin! Other Nightly Takeovers on the lineup contains acts such as Esseks, Joker, kLL sMTH, Tsuruda B2B Great Dane, Chee and Eazybaked just to name a few. These late night shows will be sure to give bass music fans some interesting late night shenanigans. If that isn’t enough music for you, Disc Jam also has the Silent Disco hosted by The Wook of Wall Street that will be happening every night. Some underground acts that you should not miss include VCTRE, Deez, Illanthropy, Keota and Krooked Drivers. The Silent Disco will be sure to show attendees some new acts that have been making their name more known in the music scene. Grab tickets below and don’t miss out on this much anticipated Disc Jam! Why should you roll in VIP? Here is why: Going in style is easy as VIP packages include options for either hotel or condo style rooms at the beautiful Jiminy Peak Ski resort just 5 minutes from the venue. On top of the off-site accommodations, the event offers VIP camping areas and a VIP lounge sponsored by Lagunitas Brewing Company, which includes complimentary beer to anyone 21 years or older. A variety of activities and workshops are a big attraction for Disc Jam, including flow art workshops, daily yoga sessions, interactive music and art amidst the festival grounds, plus craft and art vending that help make Disc Jam create a unique and memorable experience for both new and returning fans. This entry was posted in Previews & more. Bookmark the permalink.